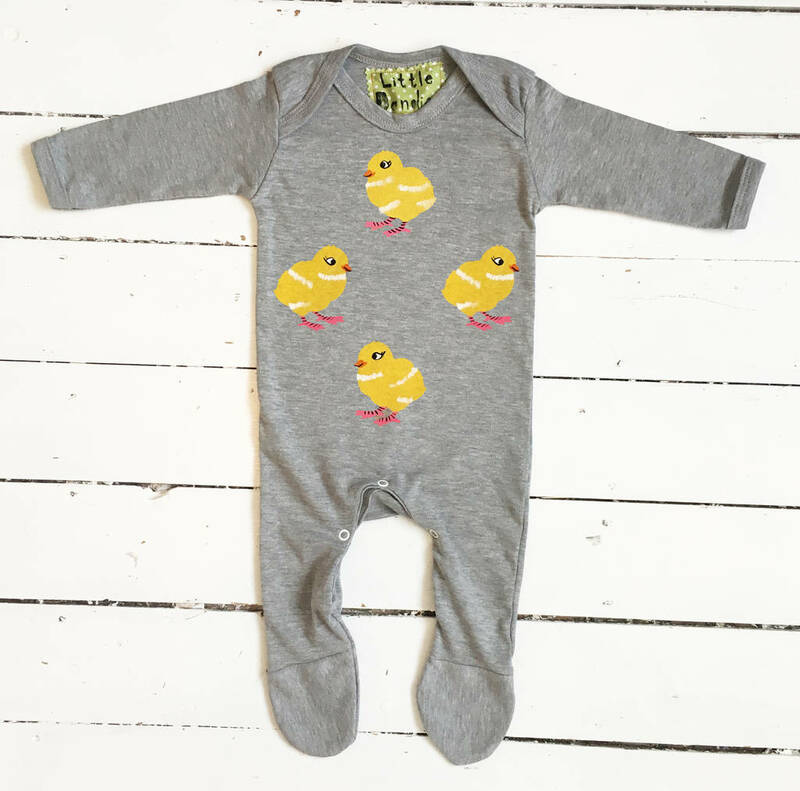 Handprinted Chicken Easter Babygrow. 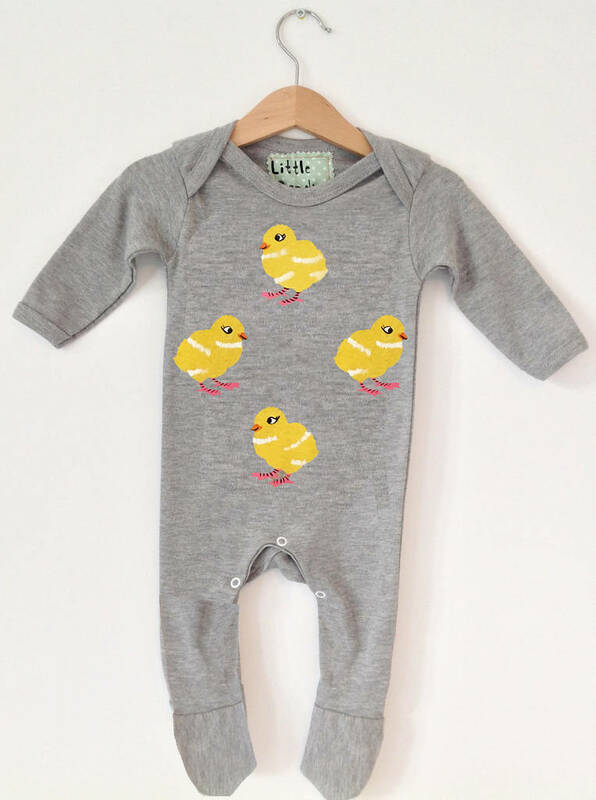 A funky brightly coloured Chicken print babygrow in Grey Marl. Perfect easter baby present! This babygrow features a handprinted grey and white rabbit, with a small rabbit printed on the back at the bottom. 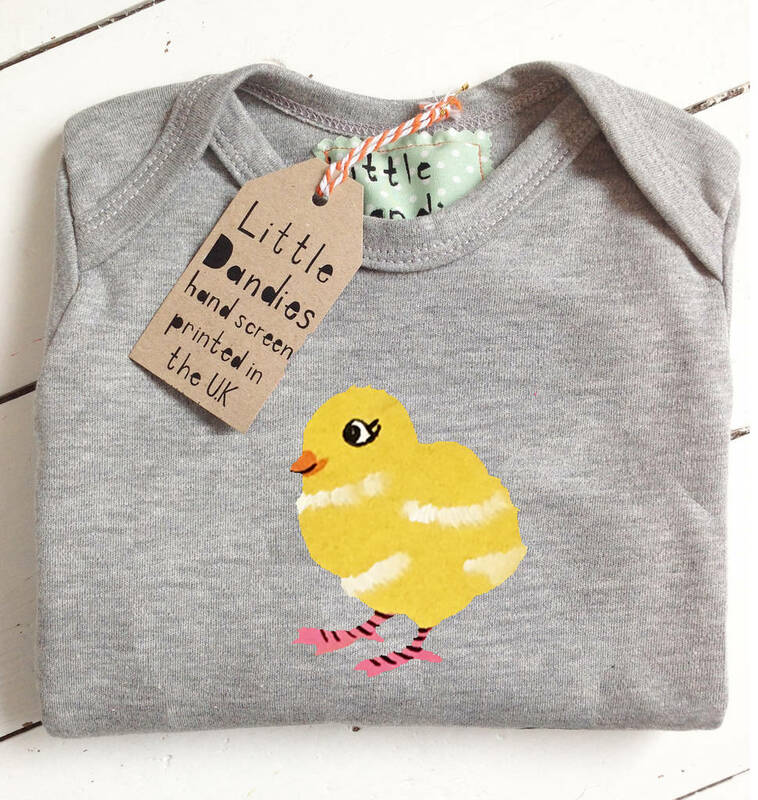 Little Dandies babygrows are a really fun and unique present for a newborn, a great easter baby present! 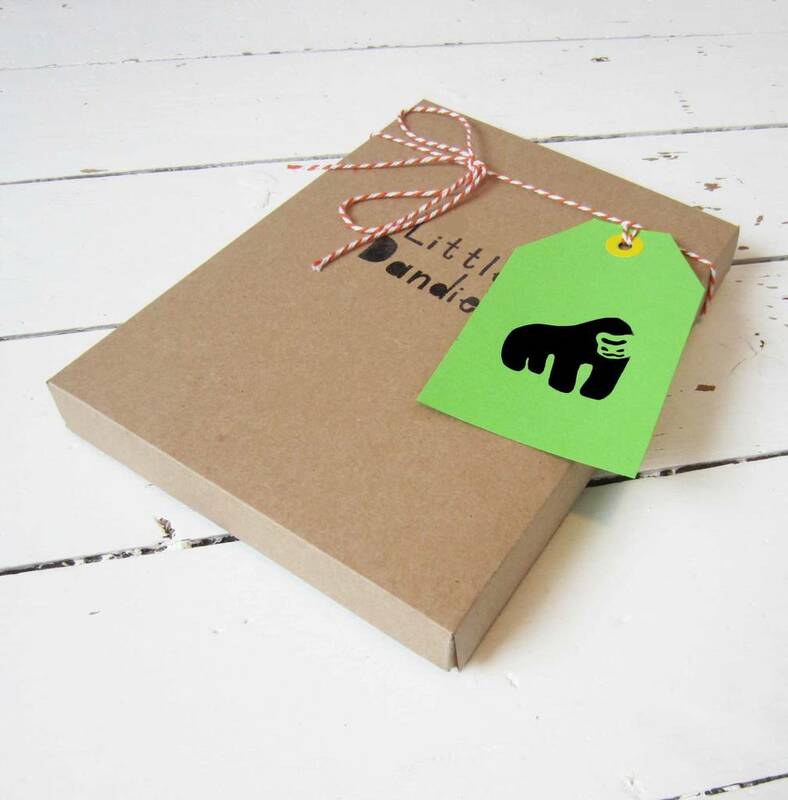 Currently offering free delivery to the UK.